I like to go traveling in the winter every so often, to get away from the Vancouver rain/dark and get some nice sun and flying in. Mexico is always an easy option...it's close, cheap, and reliable flying. But in the past I've usually gone to Valle de Bravo, and after years of doing the "same old", I wanted to try something different. 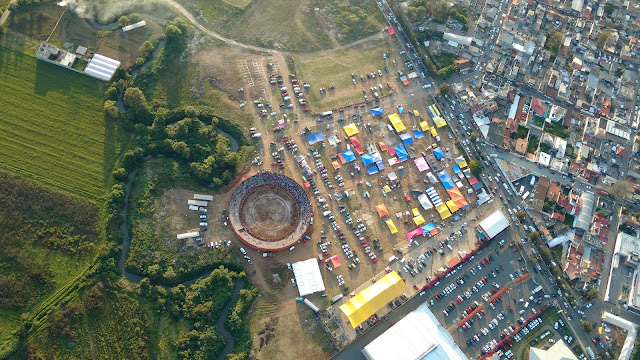 Flying over Tenancingo with the LZ to the far right. 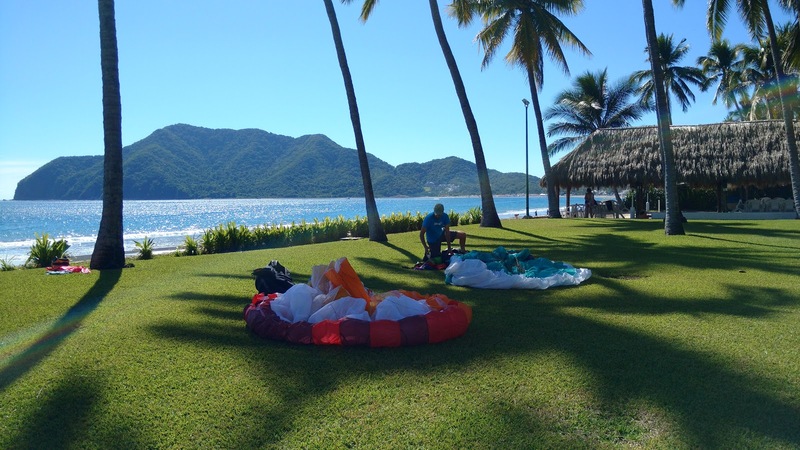 Enter Sea to Sky Paragliding's Mexico Tours! I have been to Tenancingo before but that was years ago and this time Alex and I thought it would be nice to have someone "take care of everything" this time around. Guy's tours certainly fit that bill! 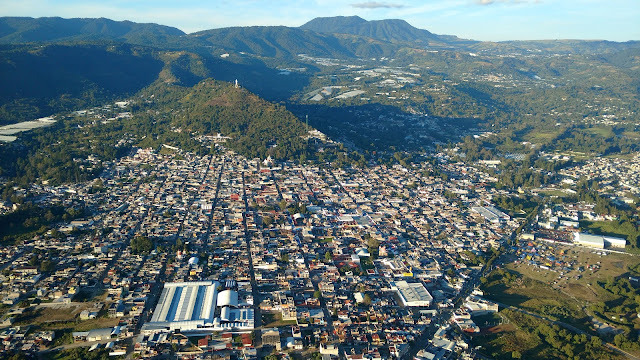 Besides staying and flying in Tenancingo, we also got to fly in Taxco (famous silver mining town), Iguala, and visit some ruins and caves nearby. Back in Tenancingo, there are multiple sites for morning, mid-day, and evening flights, all within an easy XC of Tenancingo. Bistro launch is the morning site near Malinalco. Bistro is the morning site near Malinalco and boasts an easy run to the south towards the Monastery and the backside of La Malinche. 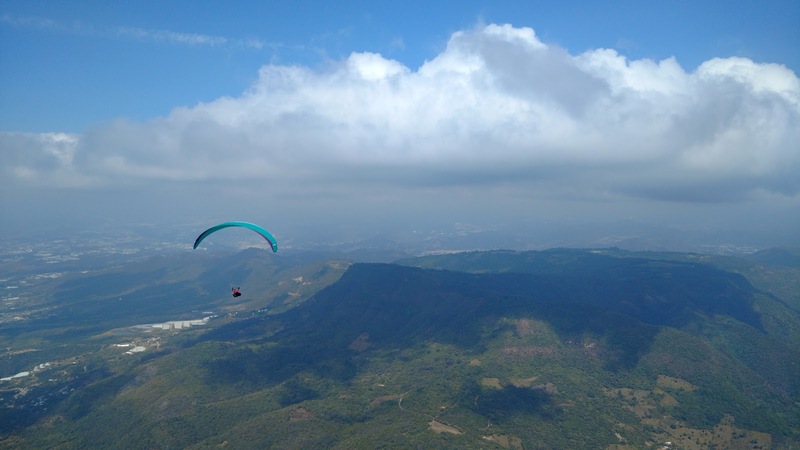 From there you can fly back and forth along the east-facing ridge, or jump to the east to the cliffs overlooking Chalma or the smaller hills overlooking Malinalco if you want to do a triangle flight. 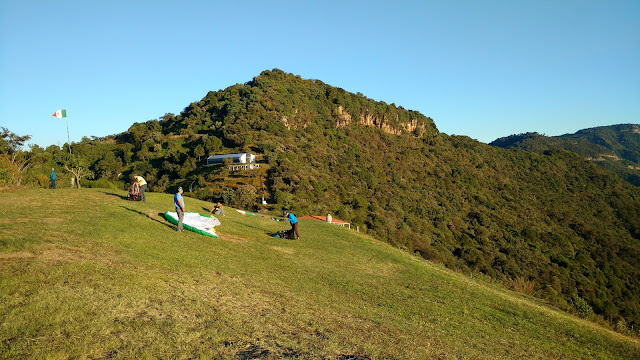 You can also fly upwind to La Malinche, just in time for that afternoon site to start working, topland to wait for the evening glassoff, or keep flying towards Ixtapan if you like. La Malinche launch is the afternoon and glassoff site with Tenancingo over the back. Pilot accommodations are available in the orange-roofed building. 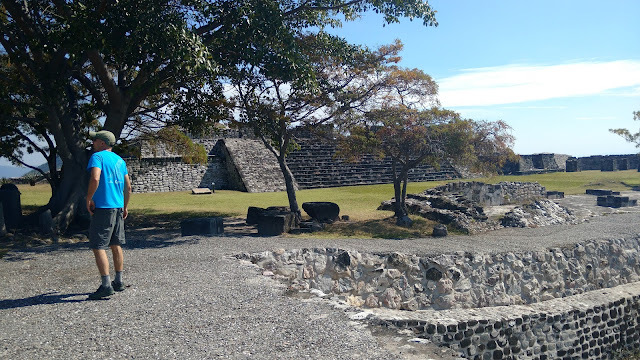 Down to the south are the flying sites of Taxco and Iguala. Because you are dropping away from the Toluca volcano the further south you go, you start from lower down and it's a lot warmer. 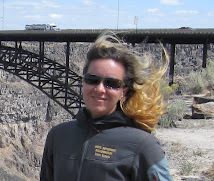 Be prepared for heat and insects on launch, and keep long pants on so you don't get chigger bites! When flying Iguala one of the common flights is to launch and go over the back into the Buenavista valley. An easy flight, and if the cloudbase is high enough, you can potentially fly all the way back to Tenancingo. But during our time there in early December cloudbase was still a bit low for that kind of flight, so we did more local flights instead. Iguala launch is near the top left on this peak. Buenavista valley is visible to the very top left. Tenancingo itself is quite nice, quieter than Valle de Bravo with less people, although just as much of a nightlife with a carnival in town, nightly food market, etc You can land right in town, about a 5-8 minute was from Casa Del Piloto, and will almost certainly be surrounded upon landing by the local kids if it's a weekend! After 10 days in Tenancingo we caught a ride with Derek and Mike Miller to Lake Chapala, where Derek had rented a house for the winter (house rentals are insanely cheap in Mexico!). 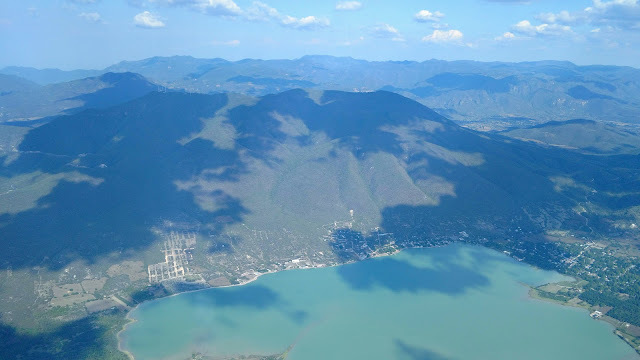 Here the flying is less structured as there seems to be less pilots, and if you choose to base out of Lake Chapala you'll for-sure need a car if you are trying to fly solo. Fortunately for us there was already a community of Canada-based pilots in the area so logistics were easy. The LZ on a weekend market day. The alternate LZ are the nearby soccer fields. I'd been to San Marcos before but there is now a new lower launch in addition to the original launch, the lower launch is much closer to the turnoff and less driving required, and it's still high enough to get away from easily. Also a good option if the upper launch is blown-out. En-route back to the La Malinche ridge. 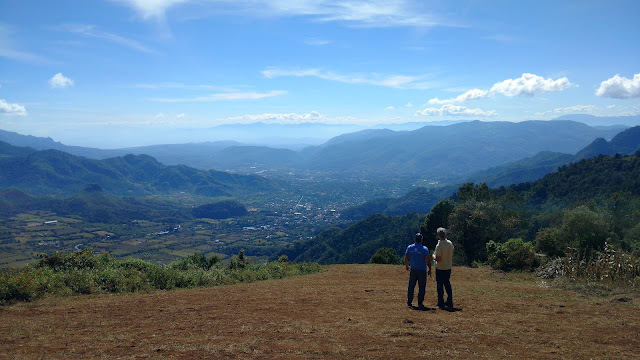 When it's blowing east we go to Tapalpa. Both launches face NE-E-SE and are off a paved road, and there is pilot accommodations nearby and bus service, so you could theoretically get by without a car. While we were there it was a period of high pressure so very blue, no clouds, and not the greatest XC conditions. 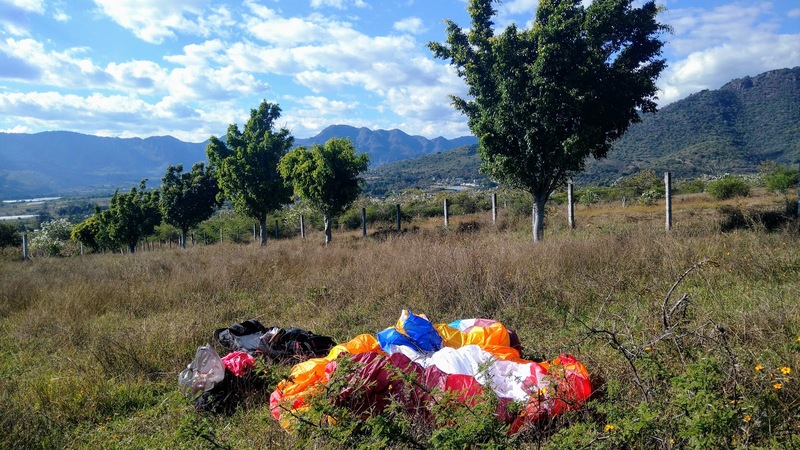 But when it's on you can very easily fly from Tapalpa to San Marcos and onwards to Lake Chapala. 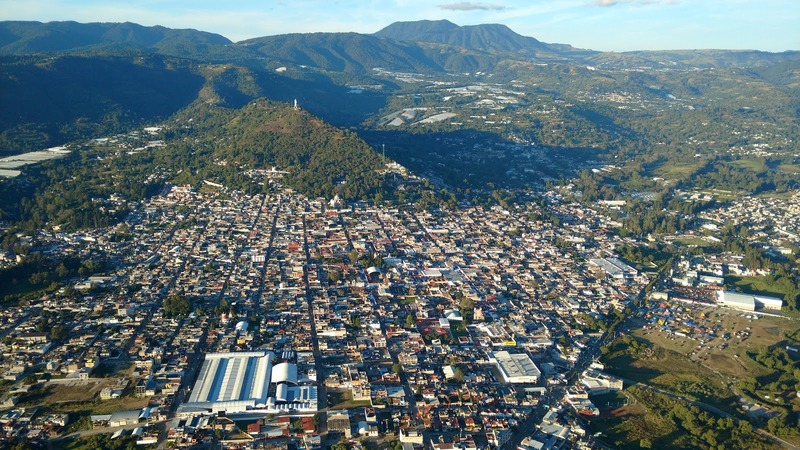 Note: Tapalpa is quite high compared to San Marcos, so if you choose to base out of Tapalpa, bring warm clothes, as it can below freezing on the plateau! 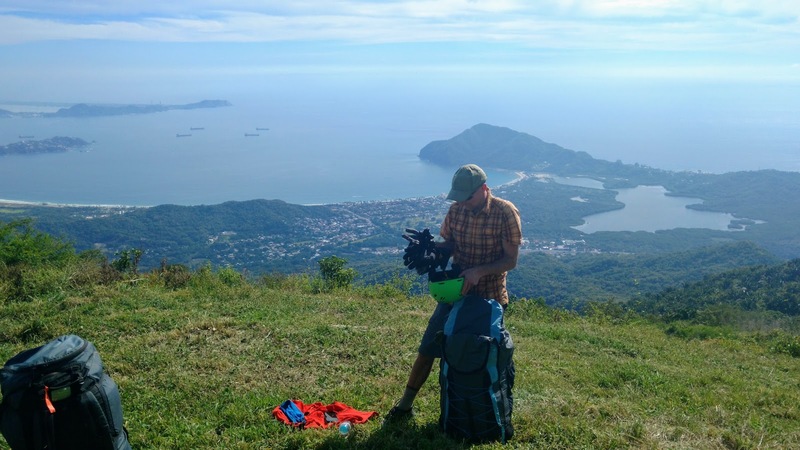 El Toro launch overlooking Manzanillo. 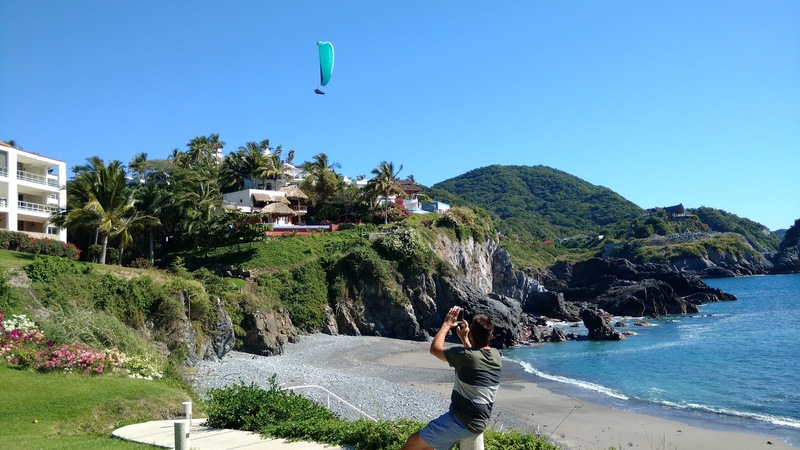 If you want to warm up a bit, go to Colima (next to the twin-peaked Colima volcano, an easy paved cobblestone road up to launch), or head to Manzanillo if you want the full Mexican beach experience! That's what we did...spent a week or so at the beach: flying the morning site El Toro, go swimming in the 28C waters, or fly Pelican Bay in the afternoons. El Toro is a high mountain peak overlooking Manzanillo and has an epic road up, during our time there is was very washed-out and several trucks were reportedly stuck at several times. There is also a gate so you need the key to gain access...fortunately we knew of someone with a key and he also agreed to shuttle us up to launch, eliminating the need for retrieve! Launch itself is placed just below the saddle facing the ocean, facing SE, and the W afternoon seabreeze will often shut the site down after 12pm, so you want to be on launch early and ready to take off, rather than having to pack up in the heat and hiking/driving back down. We made that mistake one day after spending the morning cleaning up the site, only to have it blow down on us after we finished, gah! ...and a perfect place to pack up. The sand is just below this grassy area. 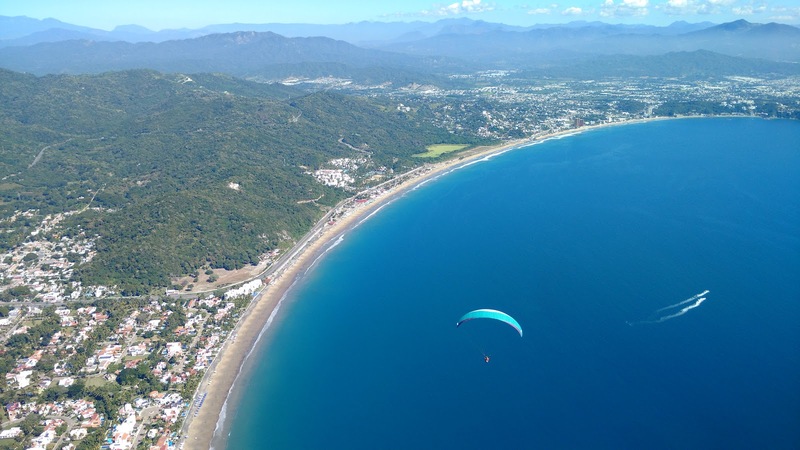 And if the west wind blows in enough, go to Pelican Bay and ridge soar the beaches and cliffs to the south of Manzanillo until dark! The launch is situated on an as-yet undeveloped housing development, and given the state of Mexican bureaucracy, it could stay undeveloped for years to come, providing us with a perfect spot to lay out gliders and topland. Mind you, landing on the beach isn't so bad either, as it's only a few meters below the takeoff with an easy road back up to the top. Alex trying out a new site at the condos. All in all, it was a wonderful trip to a sunny destination, with lots of new sites but the same great food and people! If you go to Mexico a lot for flying, and are getting tired of Valle de Bravo, and aren't afraid to explore some new sites which have less infrastructure than Valle, then definitely explore some of the other great flying sites Mexico has to offer!